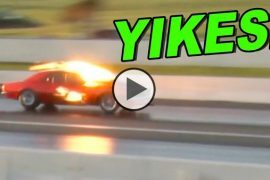 Take a look at this, Street Outlaws Star Big Chief Leaves Clocks on in Test Pass with Updated Crow!! You probably know that The New Crow with Big Chief behind the wheel is standing in the top spot at the famous 405 list and that car is performing at top notch level, however if you follow the Street Outlaws you know that these guys need to be on top of their game at all times in order to keep their top spot. So this is why they never stop slamming down runs and they keep testing and tweaking their rides in order to keep them performing as good as they are, and today we join Big Chief as he is about to send it on a quarter mile track and as a bonus they got the timing equipment on. There are not too many times that we get to see their runs timed and the results revealed so this comes to us as a icing on the cake, to check out how fast do these cars go on this kind of track, enjoy. Will they Run?? Junkyard First Starts After Years of Sitting!! 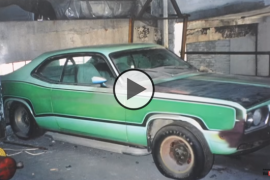 1970-71 Plymouth Duster RTS Show Car Holy Grail Barn Find!! 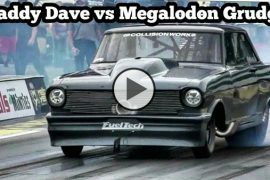 Two Awesome Races, Daddy Dave vs Megalodon & Vixen vs Larry Larson!! Previous articleWill It Run? 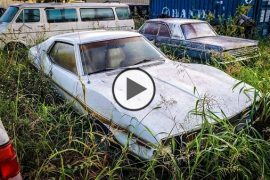 1972 Camaro Barn Find Sitting for 19 Years!!! Next articleHis Turbo on 1967 Chevy II The Mistress is BIGGER than Larry Larson’s 136mm? !